Central NC: Take the hike & paddle challenge - GetGoing NC! A patch and knowing you’re helping to save more special places to explore. That’s what you get by completing the LandTrust for Central North Carolina’s just launched Hike & Paddle Challenge. Here’s how it works. If you aren’t already a member of the LandTrust for Central NC, you’ll need to join, by going here. Memberships can be had for as little as $25 a year, says associate director Crystal Cockman. And that goes to supporting the LandTrust’s efforts to spare the especially special places in Anson, Cabarrus, Davidson, Davie, Iredell, Montgomery, Randolph, Richmond, Rowan and Stanly counties. Next, you sign up at the Hike & Paddle Challenge, which is here. Then, you’re ready to take either the paddling challenge, the hiking challenge or both. What do you know about the 10-county area of the central Piedmont described above? That it’s got the Uwharrie National Forest, maybe that Morrow Mountain State Park is there? Beyond that … . And how much do you know about exploring the Uwharries. Not much, we’re guessing. six are moderate, five are hard. Many, even the frequent Uwharrie explorer may not be familiar with. For instance, under the “moderate” category is Nifty Rocks, which follows the Troy Horse Trail up to Nifty Rocks at Badin Lake. “It’s just a mile and a half, but it’s a lot of fun,” says Cockman. What would be considered “hard”? 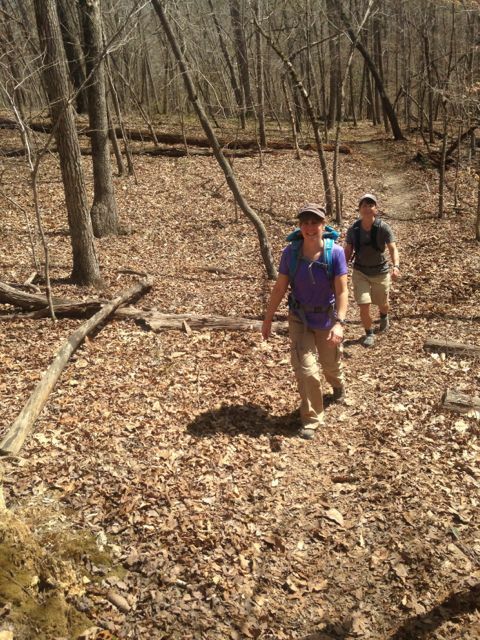 One of our favorites, the Tot Hill Loop, an 11.25-mile lollipop loop that starts off Tot Hill Road, on the Birkhead Mountain Trail, then loops back via the Hannah’s Creek and Robbins Branch trails. 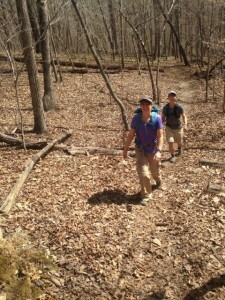 Includes some of the more stout climbs on the Uwharrie Trail. Each of the 20 options includes all the information you need to find the trail and take the hike. For the Paddling Challenge, there are 12 options. Venues include Cabin Creek, Daniel Boone Heritage Canoe Trail, Hitchcock Creek, Little River, Mountain Creek, three sections of the Uwharrie River and more. Again, everything you need to know to paddle each trail is included. “We’re even doing a guided trip in Hitchcock Creek that would could toward the eight,” says Cockman. That trip is Oct. 19. The challenge runs for the 2014 calendar year, meaning if you’ve done one of the trips earlier this year, it counts. Take a trip, then log it on the LandTrust website. 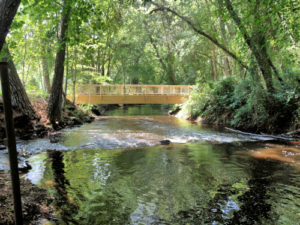 Not included in the challenge, but part of the LandTrust’s efforts in the region is a new stretch of trail extending the Uwharrie Trail eight miles north of Jumping Off Rocks, to Covered Bridge Road. That extends the Uwharrie Trail to 28 continuous miles. “We’re working to connect with the Birkhead Mountain Trail,” says Cockman. That would get the trail up to 40 miles of continuous hiking, close to what it was in its heyday in the 1970s.